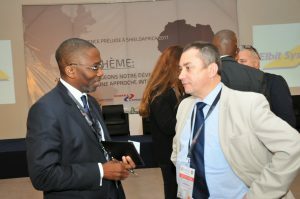 This exhibition is an African forum for contact and communication between businesses and institutions. Created in Africa, by and for African people, ShieldAfrica presents a global technology offer designed to meet the Security and Defence challenges facing both institutional and private stakeholders. Industrial and service companies offer innovative technologies and solutions that have demonstrated their worth in operational contexts. 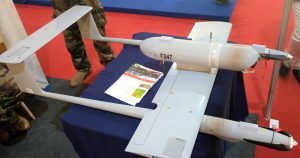 In 2017, 133 exhibitors represented all areas of Security and Defence: Cyber, Surveillance, Detection, Mobility (Vehicles, Boats and Semirigids), Information and communication systems, Training and Simulation, Personal Protective Equipment, Non-lethal weapons, UAVs-UGVs, Textile and Manpower support. By participating in ShieldAfrica, you gain further insight into Land, Sea and Air Security and Defence matters while identifying equipment trends in order to choose solutions tailored to your needs. 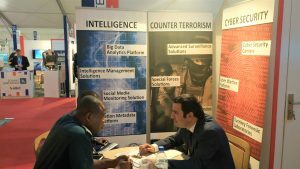 And by attending the “Exhibitor conferences”, you discover the latest products and technological innovations in Security and Defence. 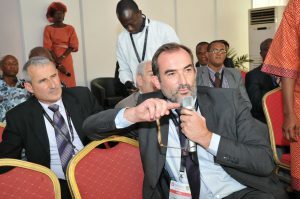 The exhibition is also a think-tank between exhibitors, visitors, experts and journalists. At the plenary conference held on Monday 21 January, ShieldAfrica 2019 will provide an opportunity to reflect on how Security and Defence is changing in Africa, in order to protect its development.